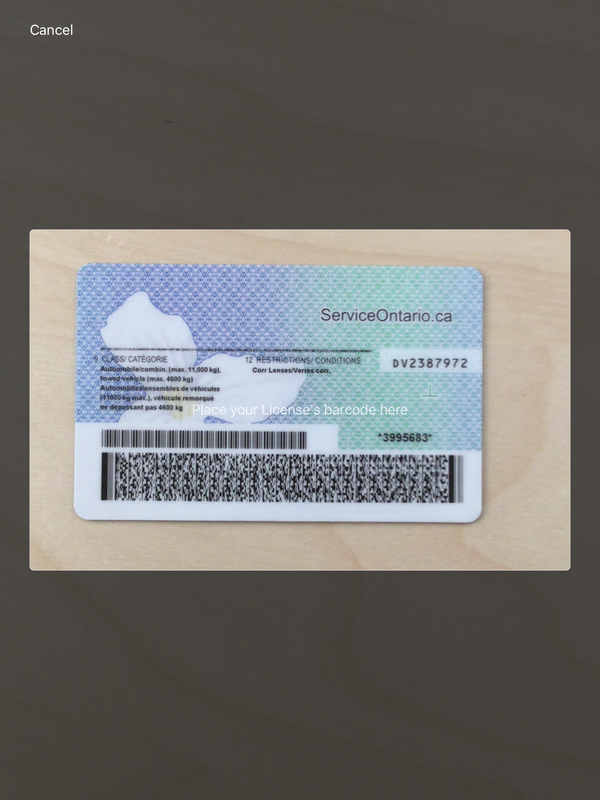 The License Scanning feature allows users to scan the barcode on the back of a license card and auto-populate fields from the engagement with information from the license. 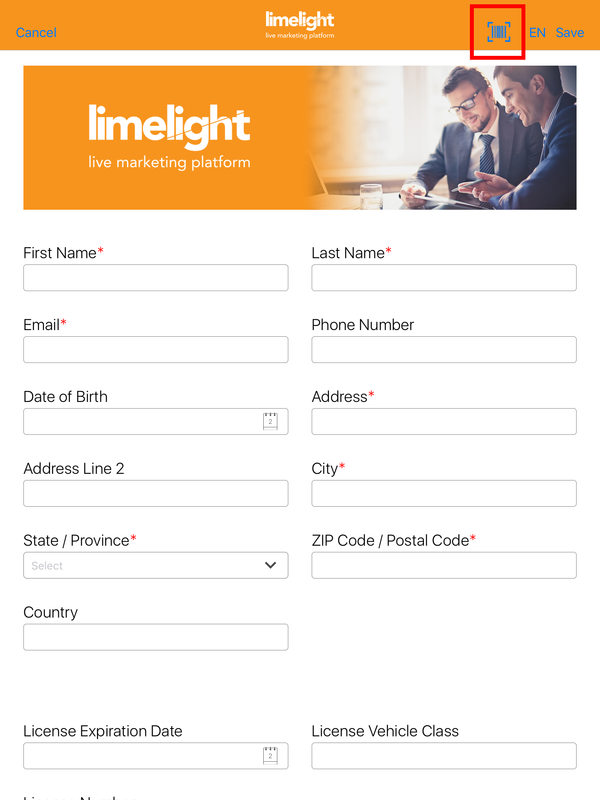 Follow the steps below to allow the Limelight App access to your iPad’s camera. 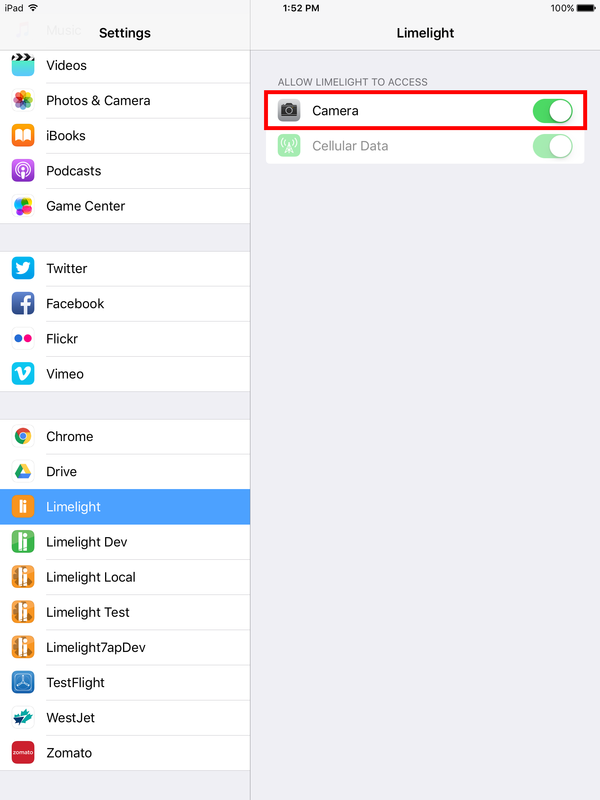 Start by going to your iPad settings to give camera access to the Limelight App. Once in Settings, scroll down the left side menu until you find the Limelight App. 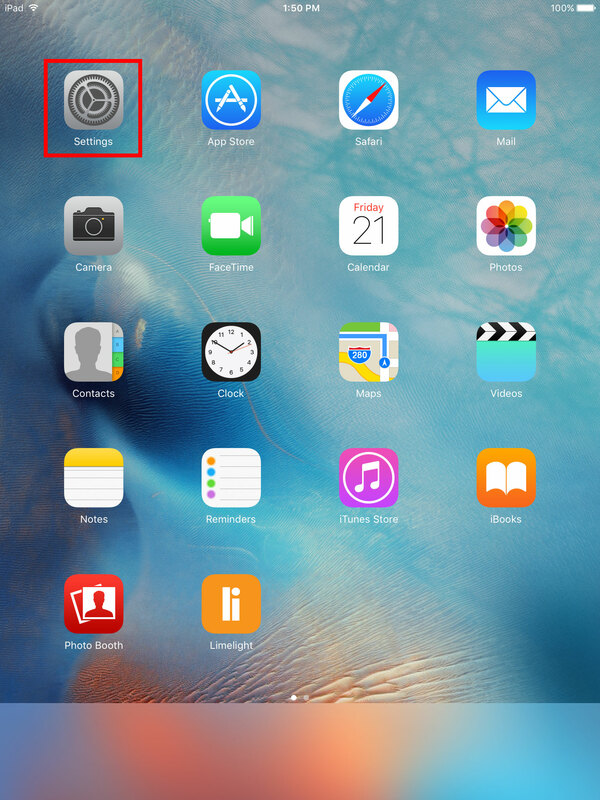 On the right side, enable the toggle button to allow Limelight access to the iPad’s camera. 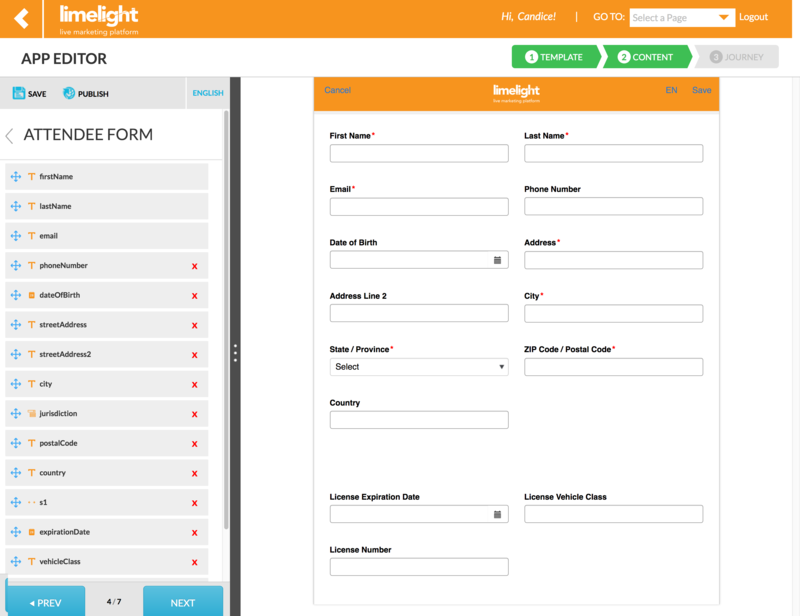 Log into the Limelight Platform and select the project you would like to add the License Scanning feature to. From the Canvas, click on the Settings Icon to enter the global settings of the app. 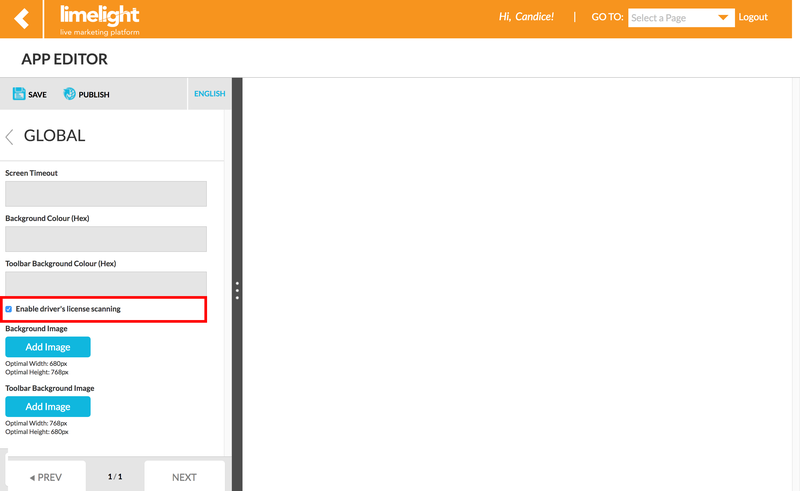 Within the App Global Settings, enter into the Globaltab and click the Enable Driver’s License Scanningcheckbox. Save and Publish your app for your new settings to take effect. Jurisdiction, or capturing State or Provincial information, is captured using a dropdown form field. The value captured by a license must match up with the value from the dropdown’s available values, otherwise the captured value will be discarded and the user will have to select an option from the dropdown field manually. It is standard for a license to store a jurisdiction as its two letter abbreviation. If you create a dropdown field for jurisdiction, the user should configure the dropdown field value with the state or province abbreviation in all capital letters. Follow the instructions below to use the License Scanning feature on your app form. 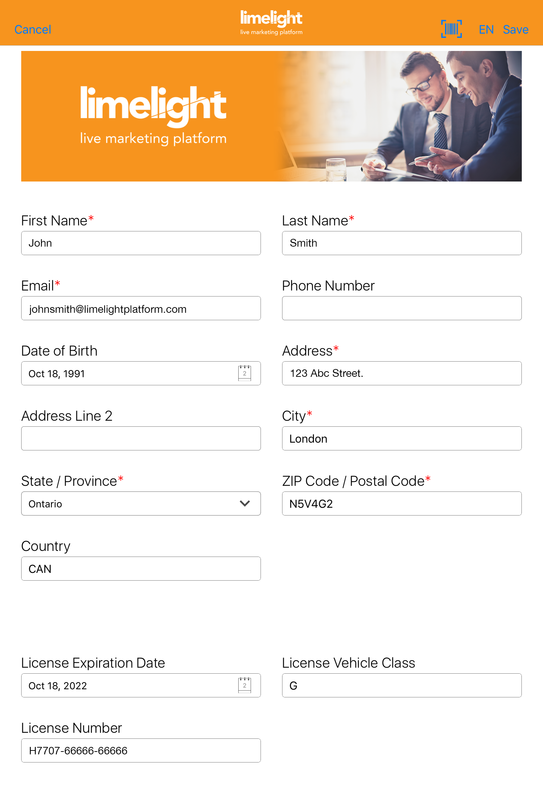 Log into your app and go to the form with your license fields. This is usually captured within an Attendee form or Data Capture form. On the right side of the toolbar, click the Blue Barcodebutton to activate the camera mode. Place your card in the middle of the screen so the barcode is prominent. The iPad will focus on the barcode and take the picture automatically. 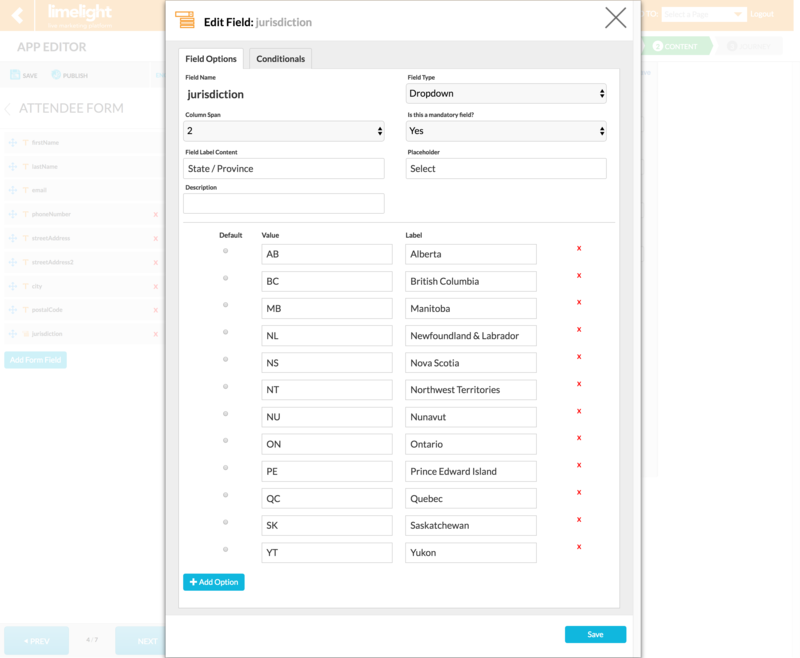 Once the picture is taken, the form fields with the proper naming conventions will automatically populate.